Are Faith and Science At Odds? This nonsense came at me out of the blue, but helps illustrate the topic. Buon giorno. 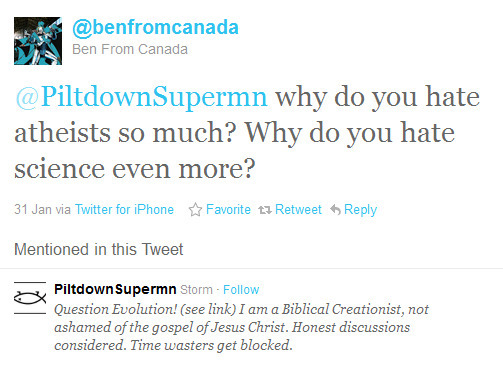 When discussing science, evolution and faith, people have some very strange ideas about definitions. I have encountered some interesting re-defintions (including the astonishing claim that if someone is not an evolutionary biologist, he or she is not a scientist! ), misunderstandings of definitions (deliberate, I suspect, for purposes of personal attacks), equivocation (evolution is science, from people who promote the thing but do not really understand it themselves) and so on. For that matter, the word "evolution" itself has several meanings. Many misunderstandings can be avoided by a couple of things: First, know the correct definition of the word, and second, clarify terms in the first place, such as "What do you mean by...?" Then there are the types who say that if you disagree with the tentative, tampered, tendentious "evidence" for evolution, you are a "liar". That smacks of the desperation of a fundamentalist evolutionist who cannot abide by the true spirit of scientific inquiry. Similar to one of the most glaring fits of idiocy, "Liar for Jesus". I'll let you, my clever readers, figure out how ridiculous that one is all by yourselves. When both parties understand the terminology, they can communicate better, capice? Greg Koukl of "Stand to Reason" had a good discussion about clarifying terms on his January 29, 2012 broadcast. The question was raised whether or not faith and science are at odds with each other. Below is his monologue, followed by my brief call about Question Evolution Day. The full, almost three-hour podcast is here. I suggest that you get that, because the third hour is his interview with Professor Michael Flannery about the video, "Darwin's Heretic" (James Russell Wallace). Kindle, I've Got You Covered! Buon giorno. When I did my write-ups about my Kindle, I mentioned that there were three things that did not come with it: Cover, external light and additional power supply. This is about the cover, which was the most important accessory to me. Covers are not cheap. Amazon makes some covers that include a light, and cost almost as much as the Kindle itself. I did some serious searching, and checking the reviews. Some people give a 1-star review because they are too difficult to please, others give it because they are upset about shipping (that's not cool). But some had genuine issues. I saw reviews where the 1, 2, and 3-star reviews totaled more than the 4 and 5-star reviews, so I skipped those. Buried in the list were a few covers by a company called Timbuk2. Not many reviews, but one gave all the details that I needed, and I went for it. By the way, I am not being paid or getting anything for this review. 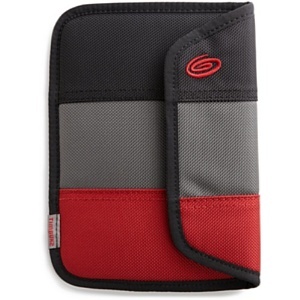 The one I got was black/gunmetal/red. gray look green, though. Click for larger. This is what I look at, these colors are right. The cover clasp is magnetic. On occasion, I have to push a bit to get it to close, but after some use, it closes nicely. 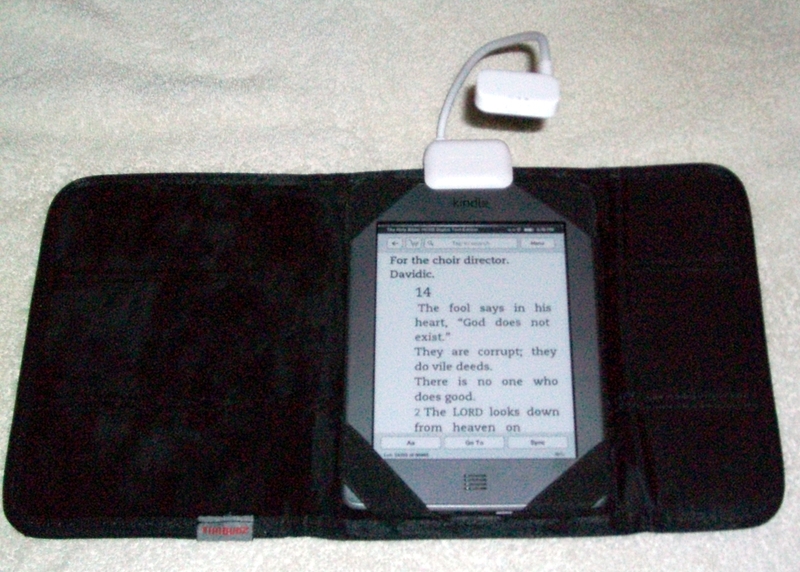 Inside, there are straps that hold the Kindle snugly in place. 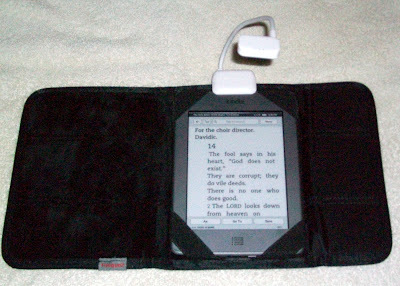 The cover is pretend fur, so the most sensitive part of the Kindle is protected when closed. Which reminds me, I'm going to review that book. So, not only is the screen protected during travel or just laying about, it helps in other ways. I set the Kindle down carelessly and it slid onto the floor. Thanks for that bit of extra impact protection, Timbuk2! Also, even though you may need to pull the material aside, the buttons and power opening are available; I have not taken my Kindle out of this cover since it arrived. Click for larger. Kindle, Timbuk2 cover and Belkin light (not switched on for picture). Main point: I recommend this cover. Addendum: I have discontinued my Amazon Affiliates program because I do not wish to be affiliated with a company that gives such pitiful customer service.